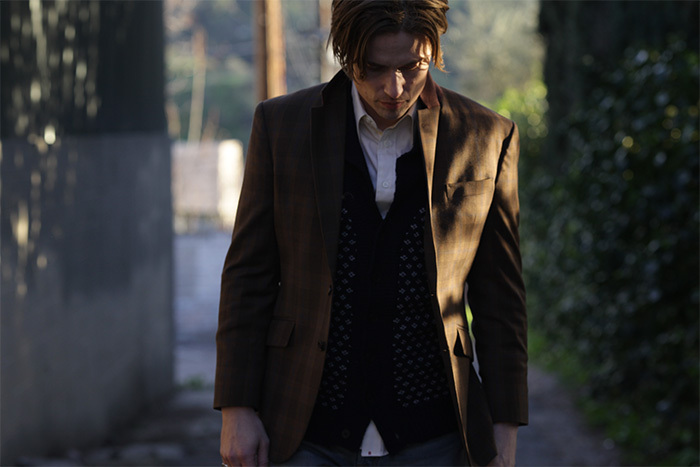 Four years after releasing Fight For My Soul, Jonny Lang returns with his newest studio album, Signs, which will be released on September 8th in North America and August 25th in Europe. Blues Rock Review caught up with Lang to discuss the new album, his songwriting process, and more. What was your approach to working on Signs? If I had any sort of idea of what I wanted to do it was just tip the hat to some of the older blues guys like Howlin’ Wolf, Robert Johnson, just that sound, just have a little bit more of a raw, unpolished sound with the guitar tones and have guitar a little more out in the forefront than maybe the last couple of records, but that’s about it. We just pretty much wrote songs, went in, played them and it turned out how it turned out. It’s been four years since your last album. Were the songs on Signs written in that time or was there anything older that you went back to? I’ve got fragments of tons of songs laying around, but it’s, like, these little fragments from years ago have helped to piece together a lot of the songs. Then some of them were written in the album making process and then some of them just came out the last minute, so, yeah, a little bit of everything chronologically there. How do you archive your older song ideas for when you want to go back to them? A hard drive, on your phone? Carrying a bank vault (laughs). Just kidding, there’s a little voice memo thing that I have, so if I get a song idea I just record it on there, hopefully return to it and make something of it later (laughs). It’s always interesting to see how artists go back to old ideas, because a lot of times musicians come up with an idea and then they don’t finish the song and forget what the idea was. Yeah, totally! It’s weird, I used to think don’t bother putting something down if you’re not going to finish it, but I found that for me if I get all those moments of inspiration and get them out it kind of makes room for the next one. It’s weird. It’s like a faucet type of thing. One of the more powerful tracks on the album is “Bitter End.” What was the inspiration behind that song? For me, “Bitter End” is basically inspired by the last couple of years of crazy news headlines. It’s like something different every day crazy was happening. It just kind of came out of seeing all of that stuff and wondering are we going to learn from history? It’s, like, all this stuff has already happened in human history, it’s just taking a bit of a different form and are we going to learn from those mistakes or are we just going to keep plowing forward and not learn from it? But there’s not specific message, it’s just kind of that thought in general. Do any of the songs on the album have deeper personal meaning to you? They all do really. The song at the end of the record, “Singing Songs,” it’s a song that my friend Dwan (Hill) and I started writing a long time ago, years and years ago and just finished up the lyrics with Drew (Ramsey) and Shannon (Sanders) for this record and didn’t know if this was even going to be on the record. It’s such a different song, but the sentiment of that song is pretty special to me, which is just that this idea that there is something passed along to us that’s kind of unsaid. It’s not necessarily a written historical record, but kind of written in your heart almost. It’s kind of how ancient people used to do it. They would pass their history along with songs and sort of more intangible, emotional kind of things rather than just really specific history written down. And I just thought that was a cool concept to write a song around. When do you decide it’s time for a new album? When you have enough material or if it’s been a few years do you just say, I need to hammer this out? It’s weird, man, there’s all these different variables in life that sort of have to align to create the moment for that. I have a bunch of kids and a wife at home and travelling on the road between all that stuff it’s kind of hard to do it. And then the inspiration part of it, sometimes the songs don’t go through seasons. There’s no songs coming, so just kind of wait for it to happen and it all seems to pan out. 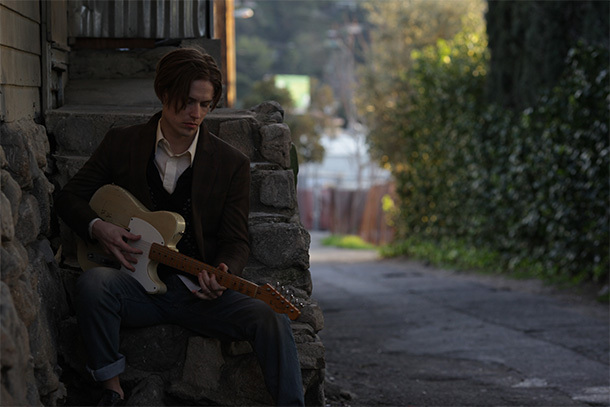 Jonny Lang will release Signs September 8th in North America and August 25th in Europe. Were there any songs of the album that seemed to write themselves and just came easily? Yeah, those happen every once in a while, not too often. The song “Wisdom” was done like that, just kind of done in one night, came up with it and wrote and recorded it at the same time. It’s awesome. It’s crazy. It’s like the inspiration thing is so fleeting most of the time. The trick is how to use that as fuel for the actual work of finishing the song and trying not to just rely on pure inspiration. It’s been 20 years since Lie To Me was released. How do you feel you’ve changed as a songwriter since then? I think I’ve gotten better at saying what I want to say and kind of get out what’s going on in my heart at the time. As the years have gone by with every record I try to get better at it. I’ve probably become better at saying what I want to say with lyrics because it’s something I struggle with. I have to work at, but it seems to get easier every time. On the flip side, does anything get more difficult for you as a songwriter with all the music you’ve released? Yeah, something like writing a song is so subjective and with every option you’re presented along the process there’s a million forks in the road, like, which way do I go kind of thing? It seems like the more you figure out about how to write a song the more possible paths you uncover. So, the options keep getting wider and wider, so it gets more difficult to settle on something and just say that’s finished, stop tinkering, so that becomes more of a challenge for me as time goes on. Do you have any dream collaborations right now? Stevie Wonder or James Taylor would be my dream come true, just to hang out and write a song or something with music. Those two guys are my biggest heroes. I Adore Johnny Lang. Listen for years. Had a chance to see him in Columbia,Mo. Blue Note 7/18? Son had to work, no transport. I was crushed. He is a Genius Musically, Song writer, Awesome guitar performance. Sings with Soul….